Decor appliances are both convenient and innovative. They integrate the latest technology, design, and engineering into each model. Decor kitchen really stands out from the rest because of it’s aesthetic beauty. Also, Decor appliances are built to last. But as often happens with highly advanced technology, sooner or later your appliances might start to malfunction. You need an expert appliance repair service that deals exclusively with Decor appliances. We at Top Home Appliance Repair are such service. We specialize in every aspect of Decor appliance repair, installation, and maintenance. Our highly skilled technicians are factory trained and certified to do Dacor appliance repair. 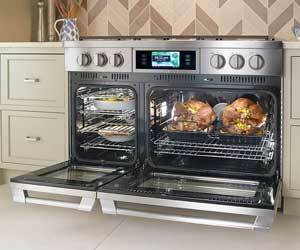 We service elite kitchen appliances and European brands such as Decor. We are dedicated, knowledgeable and honest with our customers. Our team brings the latest technology and tools to every appointment. We will make sure that you are totally satisfied with our work! Besides being deep knowledge of all Decor appliances, we also offer you the best customer service around. Our technicians are always respectful, polite and helpful. They come to every job on time and fully prepared. We arrive at the service visit with parts to increase the chance of repairing your appliance in one service visit. Our company provides you with free over the phone estimate, flexible appointment scheduling, and same day appointment. We also offer a 3 yearwarranty on all parts. Top Home Appliance Repair has one goal, to make your repair appointment as fast and convenient as possible. Top Home Appliance Repair provides you with expert services at very reasonable prices. We are very upfront and honest about all the charges. With us, there will be no surprises at the end of the day, only quality work. Also, we provide you with genuine quality parts and below market prices. Top Home Appliance Repair has a 30 plus years of experience working on elite and European brands of home appliances. We are family owned and family operated company. Our service area covers the whole of Los Angeles, Ventura County, Marin County and East Bay. We are equally skilled when it comes to commercial appliance repair and residential appliance repair. That includes commercial kitchen repair for any restaurant, cafeteria, careering business and much more. We repair all major home appliances such as refrigerators, dishwashers, washers, dryers, stoves and ranges, microwaves, freezers, ice makers, barbecues, pizza ovens, patio heaters, ovens, steam ovens, and much more. When it comes to kitchen appliance repair, we have both the experience and skills needed. After an appointment without technician, your Decor appliance will be fully functional, safe and ready to use. And with right maintenance, it can last you for years. We will make your Decor appliance repair experience a good one. Give us a call or complete our short contact form and we will make a convenient appointment for you. Our repair man will bring with him all the tools and parts necessary for your particular project. Once he is there, he will start figuring out your problem and finding the best solution for it. Our technician will replace parts, clean and repair your Decor appliance. Finally, the job is done. Our technician will clean up after himself and dispose of the old parts. He will run and test your appliance to make sure. He will also run safety checks to ensure it is safe to use. The repair man will give you advice on how to keep your appliance in perfect form. Top Home Appliance Repair also offers annual or biannual maintenance services. With this program, we can come and do all the maintenance for you. We will catch a problem before it becomes a big issue. We will change filters and other parts on your equipment when necessary. This service is worry free and is perfect for such expensive and sophisticated equipment as Decor. It will save you time and money. We are well qualified to do Decor appliance repair for you. Our company has more than 30 years experience in the field of appliance repair. Our technicians are all factory trained and certified by Decor. We know what we are doing, and we always stand by our work. We offer you same day appointments and a comprehensive warranty on parts. Our companies goal is to make your appliance repair experience as easy and as convenient as possible. Finally, we give you results that you deserve. After an appointment with us, your Decor appliance will be fully functional, safe and ready. 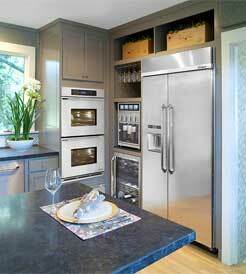 For Dacor appliance repair, please call us at 925-265-7782 in East Bay or 628-214-0064 in Marin County. Or you can fill out our short contact form. We would love to talk to you and answer all of your questions. Besides Dacor appliance repair are also certified to repair Asko, Bertazonni, Bosch, DCS, Electrolux, Fisher&Paykel, Frigidaire, GE, Jenn-Air, KitchenAid, La Cornue, LG, Liebherr, Marvel, Miele, Perlick, Samsung, Siemens, Sub-Zero, Thermador, Traulsen, True, Viking, Whirlpool, Wolf. Decor appliances are both convenient and innovative. They integrate the latest technology, design, and engineering into each model. Decor kitchen really stands out from the rest because of it's aesthetic beauty. Also, Decor appliances are built to last. But as often happens with highly advanced technology, sooner or later your appliances might start to malfunction.